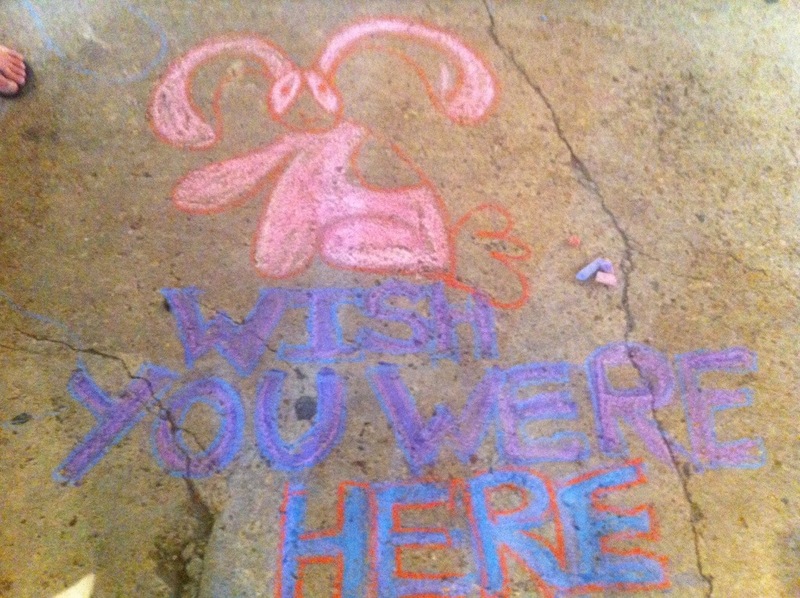 I drew this in New Orleans at the Frenchman Street Market. An hour later monsoonal-style rain came and washed everything away. I sent it to my sweetheart, I wanted him to be there so much. While I was there a man came up and photographed it to send to his wife. Sometimes it’s hard to be in a place of beauty without the one you love, but at least we can send each other messages in bottles.